Working on your New Year’s Resolutions can include everything from going to the gym more, to getting that new job. At Carraway Office Solutions, we understand how the right tools make the world of difference when implementing successful resolutions. That’s why, this year we are here to help you build New Year’s Resolutions for your office! We’ve made a list of our Top 5 recommendations to add to your list! 6-Month Reviews – Start the year off right with an employee review with everyone. Understand the goals for the year and plan to get everything done. Hold reviews every 6 months to help keep everyone accountable for the work that needs to be accomplished. Paperwork – Tax season comes around quicker than you realize, be sure your company is up-to-date by organizing your paperwork. Keeping detailed notes, copies, and files of everything going on will help you fly through tax season. 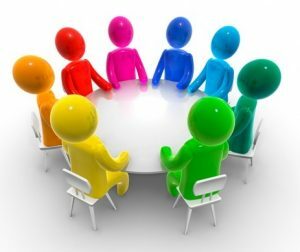 Team Meetings – Start a weekly or bi-weekly meeting with your entire team. Keeping everyone on track and providing an opportunity to catch up is a great tool for maintaining a happy office. Production – There are so many techniques out there for increasing productivity, check out WorkAwesome and Pomodoro Technique for some ideas. Keeping productivity up in the office is key to having a successful year! Networking – As an individual, it’s always great to make contacts and work on your networking. Connecting with others is a great way to help keep your business relevant! Hopefully you can employ some of these resolutions for your business. If you’re looking to update your technology in the office, be sure to reach out to us and learn more about the different products we offer!